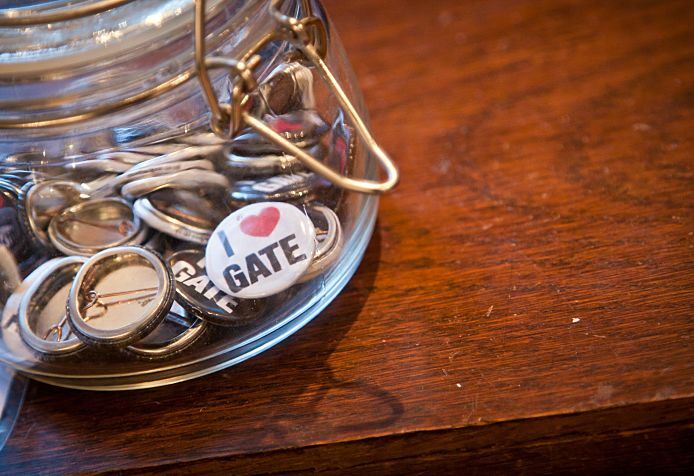 I’m the Executive Director, which means that it’s my job to make sure the Gate is a financially stable theatre, a well-run charity, a valuable organisation in our local community, and an exciting and rewarding place to work. It’s an amazing job, allowing me to work with and support some of the most exciting emerging artists and administrators. Hmm. A virtuoso musician. Or a gardener who works in glorious landscapes. That’s an impossible question! Ontroerend Goed’s ‘Once And For All We’re Gonna Tell You Who We Are So Shut Up And Listen’ blew my mind in 2008. It did that magic thing for me: combining gig-like exhilaration and detailed theatrical performances. It was brilliant. I’d be a teacher for a day, for a dose of reality. Theatre invites total strangers to be in a room together, and experience an idea or question in unison. Then, when we leave that room, the best theatre forces us all to do something different in our live as a result. So theatre matters because it makes the world a better place, one audience member and one artist at a time.